Photo: A rare cloud formation spotted looking across mountain ranges, south of the Mt. Buller Village, Victorian Alpine region, Australia. 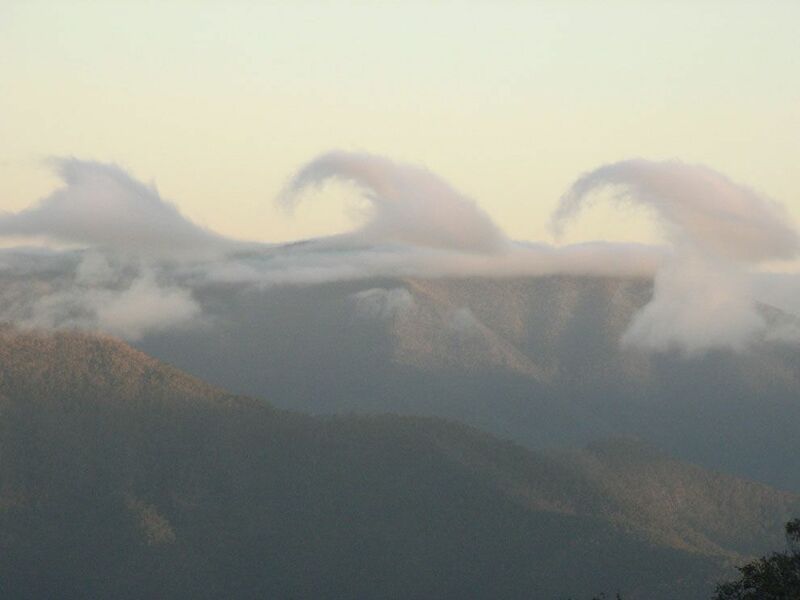 A rare cloud formation, called Kelvin-Helmholz waves, glides across the Victorian Alps, Australia. Kelvin-Helmholz waves are formed as two layers of air with different densities move past each other at different speeds. Just like ocean waves, the crests of Kelvin-Helmholz waves will crash as the air layer on top moves faster than the air layer on the bottom.